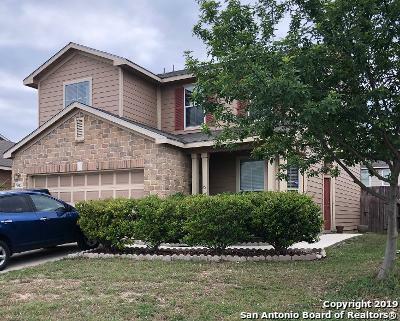 All KRIEWALD PLACE homes currently listed for sale in San Antonio as of 04/20/2019 are shown below. You can change the search criteria at any time by pressing the 'Change Search' button below. "***SALES PRICE LOWER THAN THE LOCAL COUNTY APPRAISAL DISTRICT*** Beautiful move in ready 4 Bed/3.5 Bath in Kriewald Place Subdivision. This home has it all; a study/office, open concept living room/kitchen, two eat-in areas, spacious master bedroom, separate master shower/tub, walk in closet, cover patio, game room, and a guest suite. ALL APPLIANCES come with the home! House backs up to a beautiful green belt with a playground/running trail. 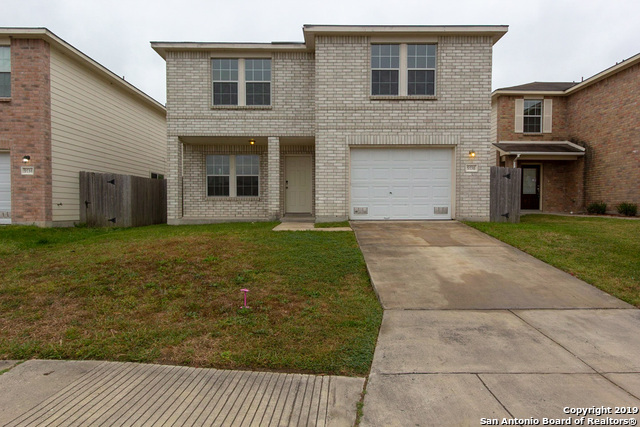 Home won't last long w/new price improvement so "
"Spacious home near Lackland AFB on quiet cul-de-sac street. Oversized tile flooring at entry, kitchen, breakfast room, & family room. Study/Office w/ double doors. Dream kitchen w/ huge center island, recessed lighting & stainless appliances is open to family room for great entertaining space. Private master suite area w/full bath, double vanity, separate shower & soaking tub, and spacious walk-in closet. Upstairs is a game room/play room, 3 large bedrooms & full bath w/double sinks. HURRY....wo"
"Amazingly well kept, clean home. It's only three years old!! Still looks and feels new inside. So close to the elementary school that, if you happen to have children, they could walk and not have to cross a street. Home is close to Lakeland AFB, NSA, and not too far from SeaWorld"
"Built in 2006, this San Antonio two-story offers a loft, a walk-in closet in the master suite, and a two-car garage." 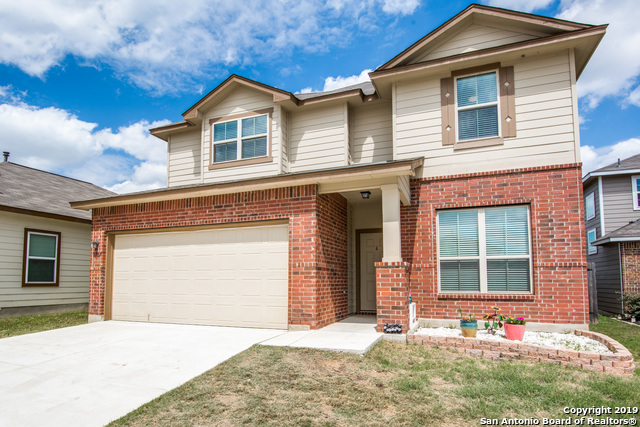 "9914 Vandenberg Way, San Antonio, TX is a single family home that contains 2,028 sq ft and was built in 2008. It contains 3 bedrooms and 2.5 bathrooms. Any remaining items will be removed from property before closing." "Very well kept Single story 3 bedroom 2 bath home with a Tech room*Wide open floor plan with 2 Eating Areas and Coffered Ceilings throughout the home including All of the Bedrooms*Bay window at home front for Breakfast nook*Plenty of Counter space in the Well Lite kitchen with Multiple Windows*Arch Ways leading you through the home*Nice sized Covered patio with Fan*Great location near major highways 90, 410, 151 and 1604*Less then 12 minutes away from Lakeland AFB*Ready for a New Homeowner!"